The EUR/USD continues moving inside the descending channel. The price was supported by a very strong support level, we should expect it to rebound from the current levels and start moving upwards. The closest target of the growth is the area of 1.3150. If the price breaks the channel’s lower border, we should expect the pair to continue growing up into the area of 1.3270. Also, we can’t exclude a possibility that the price may test the level of 1.3030, where one can consider buying Euro aggressively. If the pair falls down lower than 1.30, this case scenario will be cancelled. Pound hasn’t grown up much. 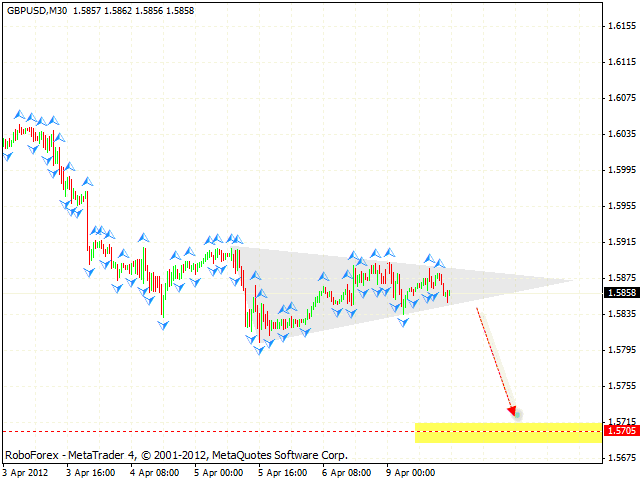 Currently the price is forming “triangle” pattern at the H1 chart of the pair. One can consider buying Pound only after the price breaks the level of 1.5895. 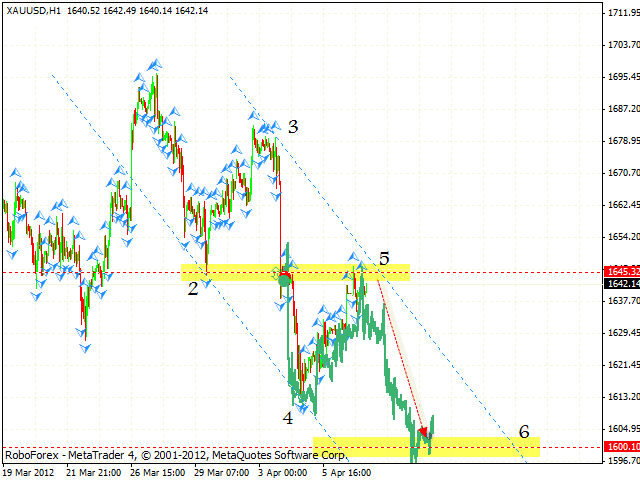 If the pair falls down lower than 1.5830, the price will start falling down towards the area of 1.5690. We do not recommend you to enter the market while Pound is moving inside “triangle” pattern. 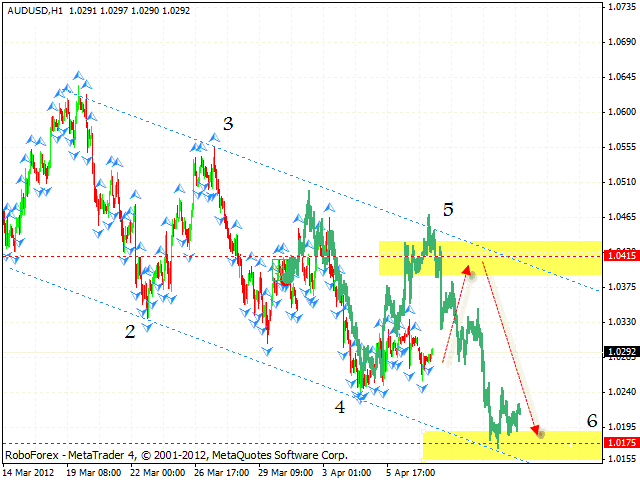 Franc continues moving according to the forecast. At the moment the price is forming “failure swing” reversal pattern at the H4 chart of the pair, we should expect to fall to the level of 0.9160. One can consider selling the pair with the tight stop. If the price breaks the channel’s lower border, the next target of the fall will be the area 0.9050. If the pair grows higher than 0.9230, this case scenario will be cancelled. 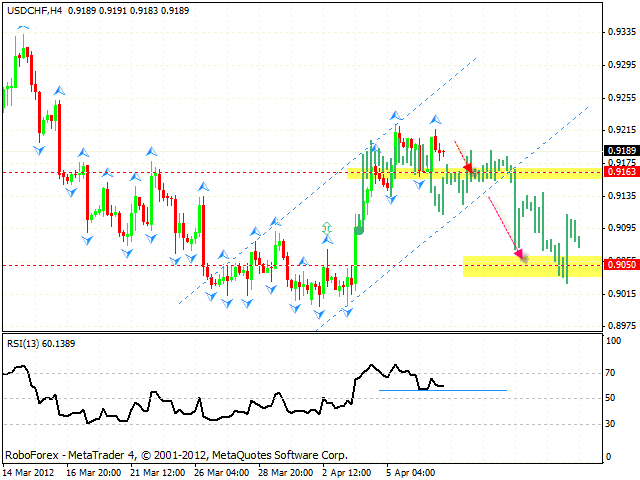 At the H1 chart of the AUD/USD currency pair we can see the formation of the descending pattern. However, at the moment we should expect the start of the correction. 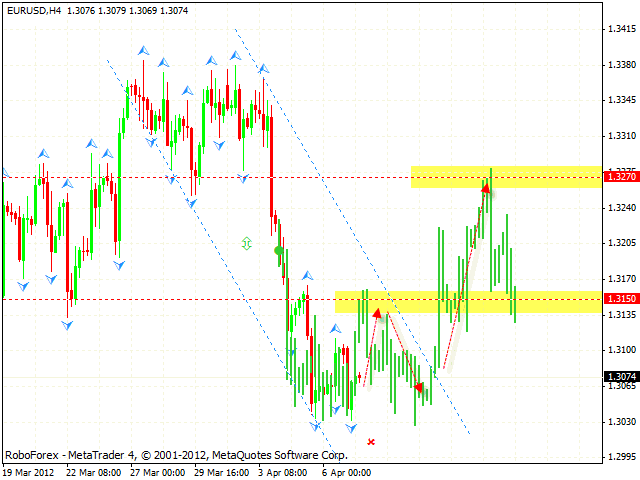 The closest target of the growth is the area of 1.0415, one can consider buying the pair with the tight stop. One can try to open short position near the above-mentioned level. The target of the fall is the area of 1.0175. If the price breaks the level of 1.0415, this case scenario will be cancelled. Gold continues moving downwards. Currently the price is forming a symmetrical descending pattern at the H1 chart, the target of the fall is the area of 1600. The price is testing the area for sales, one can consider opening short positions with the tight stop. If the instrument grows higher than 1650, this case scenario will be cancelled.